I've missed menu planning! I've been gone for a while from menu planning, and let me tell you figuring out what to eat every night was a pain! This is my first full week at home after vacation and I am fully prepared to have dinner ready every night--well except tomorrow. Tomorrow Bennett and I will go to a early dinner with one of my best friends. One of my favorites everyone's favorites is the Melt in Your Mouth Chicken. It really will "melt in your mouth". I've made it quite a few times, and will continue to add it into our menu plan--and I'm not one to eat the same thing twice. 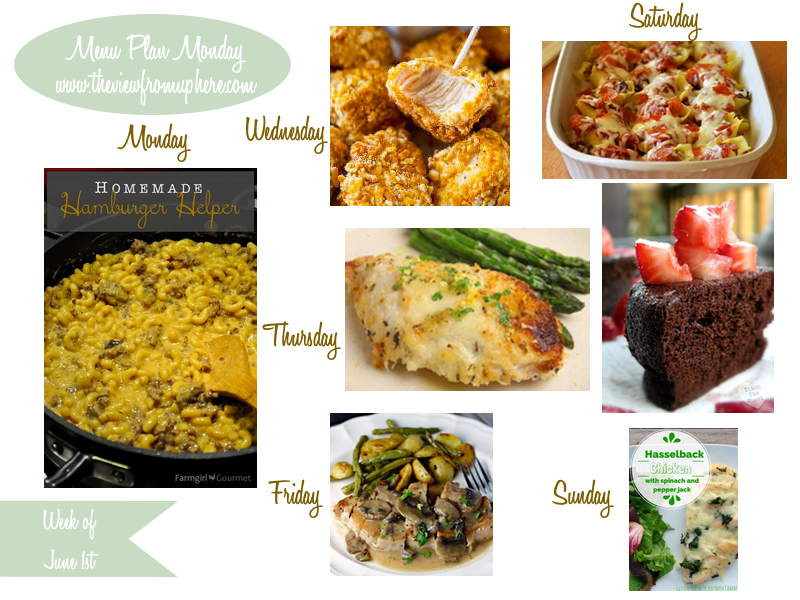 I'm linking up with Orgjunkie, make sure and checkout all the great menu plans this week! Ok, I'm going to have to take your word for it on the chicken. i went ahead and pinned the recipe, but mayo and chicken just doesn't sound that great to me. I guess I'll have to try it to belive it! Oh, how I admire people who meal plan! Everything looks delish! Thanks for sharing at Waiting on...Wednesday!